On July 29, 1786, John Scull and Joseph Hall published the first newspaper west of the Allegheny Mountains, the Pittsburgh Gazette. This four-page weekly was produced on a wooden press, the first ever to make the precarious wagon journey over the mountains from Philadelphia. Since 1786, the Pittsburgh Post-Gazette has chronicled the history of the city of Pittsburgh and the United States of America. One of the newspaper’s first public services was the printing of the newly adopted Constitution of the United States in 1787. In its early history, the paper was also known for promoting the expansion of our growing nation and fighting for the abolition of slavery. The Pittsburgh Post-Gazette has not always been called by its current name. Under its first editor John Scull, it was known as the Gazette. After his retirement in 1828, the Gazette passed into the hands of Morgan Neville who changed the name of the Pittsburgh Gazette and Manufacturing and Mercantile Advertiser and, within a year, sold it to David McClean. The McCleans dropped the long title and reverted back to the Gazette. Neville Craig followed the McCleans and brought new life to what had become a somewhat stodgy publication. Under Craig, the Gazette became a personalized “daily” with many new features and a Washington correspondent. By 1841, David N. White succeeded Craig and gradually made the Gazette one of the chief spokesmen of the anti-slavery forces in the North. White also transformed the Gazette into a morning paper in 1844, and in 1851 redesigned the publication using larger type and an enlarged sheet. In 1866, a partnership led by Nelson P. Reed took over the Gazette. Reed later acquired the Commercial, and the paper became the Commercial Gazette. The Commercial Gazette was the first paper in the city to report the fatal shooting of President Garfield, and it thoroughly covered the Chicago fire in 1871, the Johnstown flood, the railroad riots of 1877 and the bloody Homestead Steel strike. In 1900, George T. Oliver acquired the paper and restored the old title, the Gazette. Then he merged it with the Pittsburgh Times to form The Gazette-Times. In the period following the First World War, Pittsburgh was a city with too many newspapers. Publishers banded together, discontinued the Dispatch and Leader, and divided their circulation among thePost, the Sun, The Press, The Gazette Times and Chronicle-Telegraph. In 1924, The Press was sold to the Scripps-Howard syndicate, and in 1927, William Randolph Hearst purchased The Gazette Times and the Chronicle-Telegraph. About the same time, Arthur E. Braun, representing the Given estate, which owned the Post and Sun, was negotiating with Paul Block. Mr. Block arranged with Hearst to exchange the evening Sun for the morning Gazette Times. By consolidation, Mr. Block now owned and published the first-ever Pittsburgh Post-Gazette on August 2, 1927. At that time a copy of the PG cost just three cents. When the St. Patrick’s Day flood inundated the city in 1936, the Post-Gazette maintained uninterrupted publication by printing out of town for three days. The Post-Gazette continued its reputation and guardian of the public good in 1938 when it fought against President Roosevelt’s attempt to pack the Supreme Court. That coverage led to the exposure of Justice Hugo Black as a former member of the Ku Klux Klan and earned the Post-Gazette’s Ray Sprigle a Pultizer Prize. Upon the death of Paul Block in 1941, his sons, William and Paul Block, Jr., became co-publishers. Under their leadership, the Post-Gazette campaigned vigorously for “Pittsburgh Package” legislation that paved the way for the city’s renaissance in the late 50s. But that wasn’t the end of the paper’s long history of acquiring other newspapers. On April 23, 1960, the Post-Gazette purchased the Sun-Telegraph from the Hearst Corp. and moved its own operations to the Sun-Telegraph building on Grant Street. For 18 months the Post-Gazette published a Sunday edition of the consolidated papers, but the Pittsburgh market would not support two Sunday newspapers. On November 12, 1961, to meet the increasing costs of newspaper publishing, the Post-Gazette entered into a Joint Operating Agreement with the Pittsburgh Press Company. 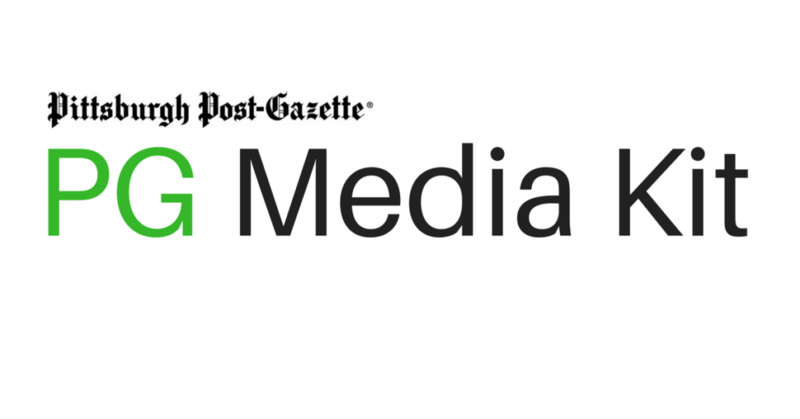 The agreement allowed the Post-Gazette to maintain ownership and control of its news and editorial departments, while having its production, circulation and advertising sales handled by the Press Company. On May 17, 1992, a chain of events was set into motion that would change the newspaper business in Pittsburgh forever. A strike was called by unions working for the Pittsburgh Press Company that effectively shut down The Press for eight long months. Because of the Joint Operating Agreement, that also meant the Post-Gazette was unable to publish. By October of 1992, Scripps Howard decided to sell the Press Company. On December 31, 1992, the sale became effective, and the Block family owned both Pittsburgh newspapers. Soon the Pittsburgh Post-Gazette roared back to life, better than ever, on January 13, 1993. The Blocks opted not to print The Press and began publishing the Pittsburgh Post-Gazette seven days a week in the morning. Now, the Pittsburgh Post-Gazette is headed by Publisher and Editor-In-Chief John Robinson Block, son of Paul Block Jr. and David M. Shribman, who was appointed executive editor in 2003. The Block family’s other holdings, under the corporate name of Block Communications Inc., or BCI, include the Blade (Toledo, Ohio), cable TV systems, a communication services company and broadcast television stations.